PetCure is both excited and humbled to be at the forefront of bringing a revolutionary cancer treatment to pets throughout the United States. For many of us, our pets are family members, and we want only the best for them. At PetCure Oncology, we believe pets and their families deserve access to the same treatment options offered in human cancer care, and we’re on a mission to make that happen. 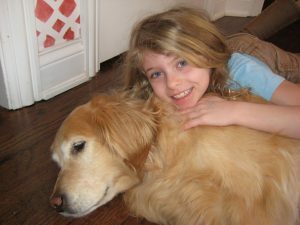 A few years back, our beloved dog Juliette was diagnosed with a nasal tumor. At the time, our treatment options were limited to chemotherapy or euthanasia. Although we chose to prolong Juliette’s life with chemotherapy, the outcome was not what we had hoped for. Had we known then what we know now, our family would have chosen radiosurgery as the treatment of choice. Radiosurgery is a well-established standard of care in human cancer treatment, with a focus on curing the cancer. What makes radiosurgery different is that it delivers a high dose of radiation to tumors with sub-millimeter accuracy. Gone are the days of radiation to a large area of the body; with radiosurgery you target the treatment directly at the tumor. The dose is delivered with curative intent; the positive outcomes are widely documented for humans and are beginning to be established for pets. Only a few treatments are needed, usually one to three, and the side effects are mild. PetCure Oncology was created because pets and their families deserve the best treatment options for cancer care. Our mission is to provide pets and their families with broad access to this technology and the very best veterinary specialists to deliver the treatment. Some will say that they’re only dogs and cats. Juliette was not just a dog to us but a part of our family, and I wish I had been able to do more for her in her time of need. At PetCure Oncology, we’re not only revolutionizing treatment, we’re revolutionizing hope.